In R Blumenkrantz's 2016 book, all Dawn Dishwashing Liquid is good. I use dawn. 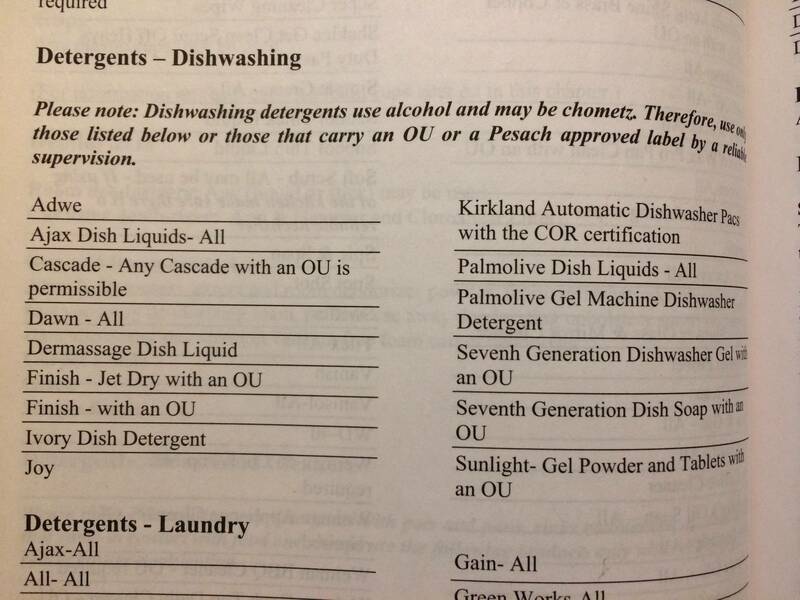 We hold that dish soap is in no way edible, ever, and therefore does not need to be specifically kfp. Heres what the 2016 R' Blumenkrantz book says. The basic items dont change much from year to year, but Im wondering if anyone saw it on the permissible list in this year's book. What is the only one we should use, the app or the Dawn dishwashing liquid? The app is what I was told to use. It's free and has a complete guide. It says that soap doesn't need special pesach certification. I just found their list of Lipsticks on askcrc.org. I dont see any Foundation (makeup) though. Is there a free accesible list of Foundation brands?